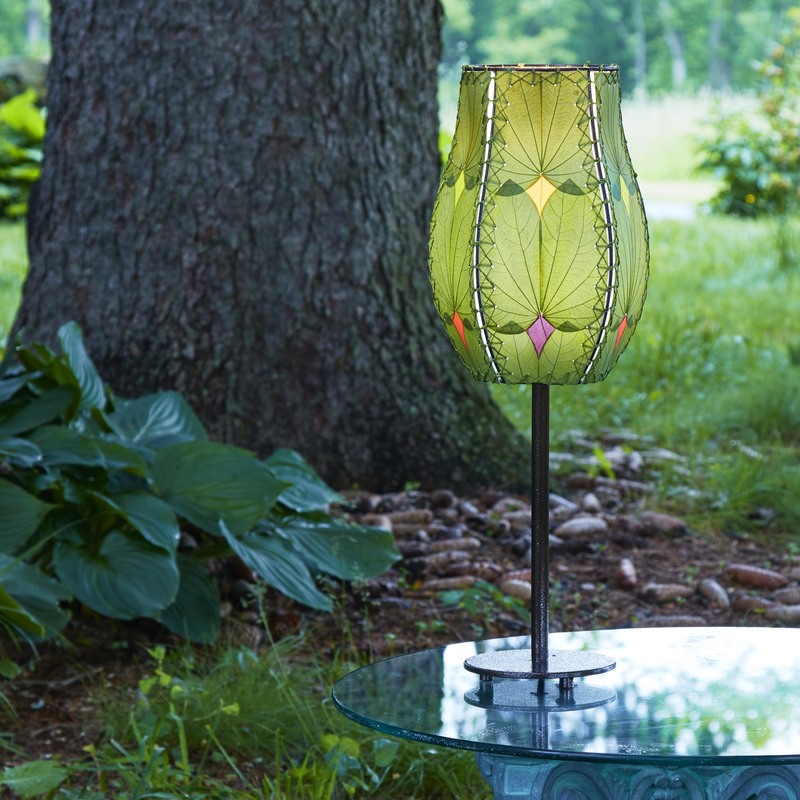 This piece features a long stem finished in antique copper. 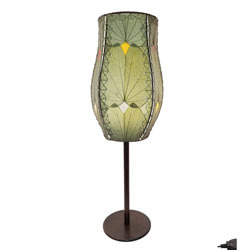 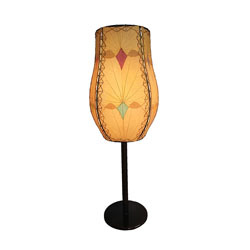 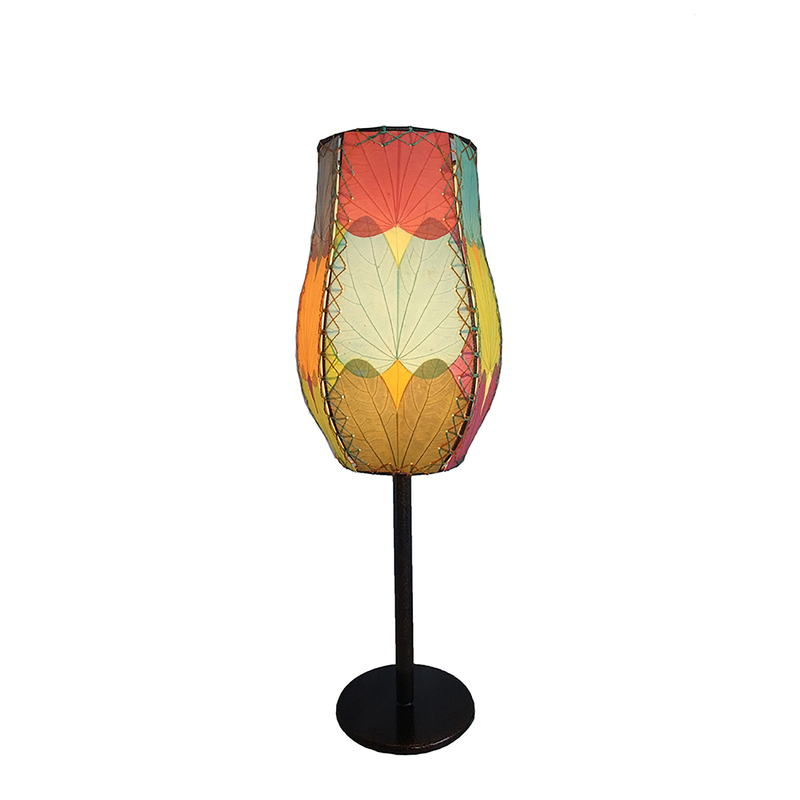 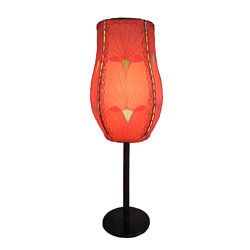 The long stem supports a curved, paneled lamp shade designed to lift spirits and ready for celebration. Features fossilized alibangbang leaves that are handplaced on a standard UL lamp backing and then laminated, creating each panel of the lamp. 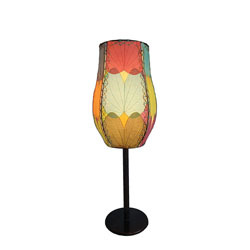 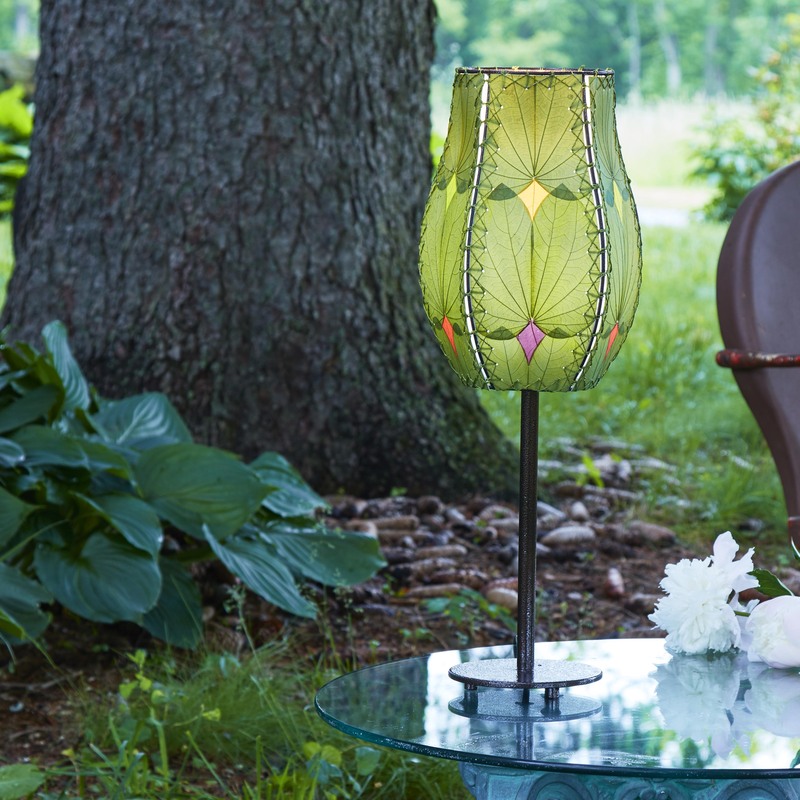 The panels are handstitched onto a powder coated, wrought iron frame set to a heavy stem base.